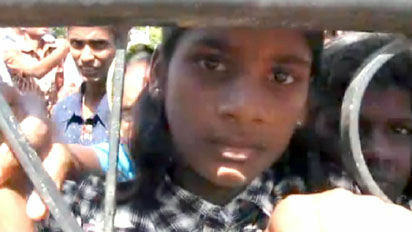 The Road to the Horizon: Sri Lanka's killing fields. The video. The comments are written by professionals who had been hired by the Sri Lankan government as part of their PR campaign (millions of dollars are spent in this project) to mask their human right violations. A typical example is that Time Magazine removed Sri Lankan President’s name from the poll result despite being ranked fourth. ….that an investigation by theTime magazine has found that Sri Lankan government has paid millions of dollars to a public relations company to generate votes for Mr. Rajapaksa.